The 1906 Orient Buckboard, another fine product from Waltham, Mass. In the early 20th century automobiles were being manufactured nearly everywhere and by nearly everybody with any kind of mechanical bent. Waltham, Massachusetts became a center for manufacturing in the 19th century, producing everything from textiles to watches to bicycles to cooking stoves. 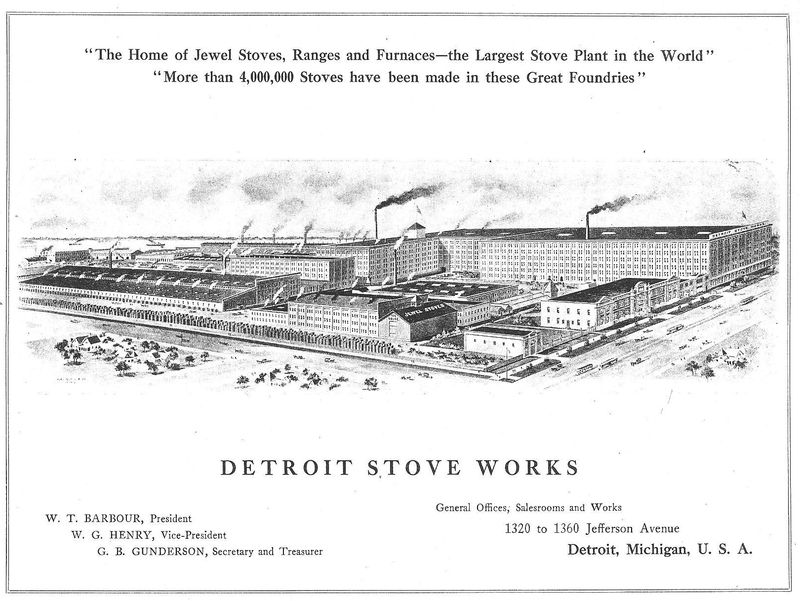 Manufacturing stoves meant there were foundries that could cast iron parts, which the then young auto industry needed. Like another city known for making stoves, Detroit, Waltham made its contributions to the automobile craze too, including this little beauty: The Orient Buckboard. 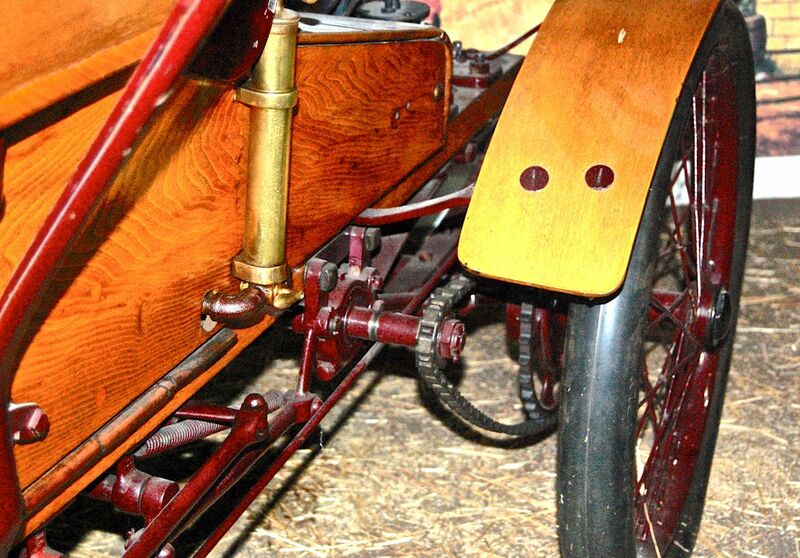 The Orient Buckboard was the brain child of Charles H. Metz. Metz had made a name for himself as a bicycle maker and with three partners founded the Waltham Manufacturing Company in 1893. Waltham continued building bicycles but quickly moved up to motorized bicycles and motorcycles. In 1898 Metz built a four-wheeled buggy with a De Dion engine, a vehicle which would serve as a prototype for his 1902 Orient Runabout. Priced at $875, Metz sold about 50 Runabouts that year. In 1902 he also parted company with Waltham Manufacturing to become technical editor of a trade publication. A 1-cylinder, 4-hp engine drove the rear wheels by chain drive. Waltham introduced the Orient Buckboard in 1903 as a slightly reworked version of the earlier Runabout and kept it in production until 1908. It was offered in several different configurations, all powered by the same 4-hp, single cylinder engine. 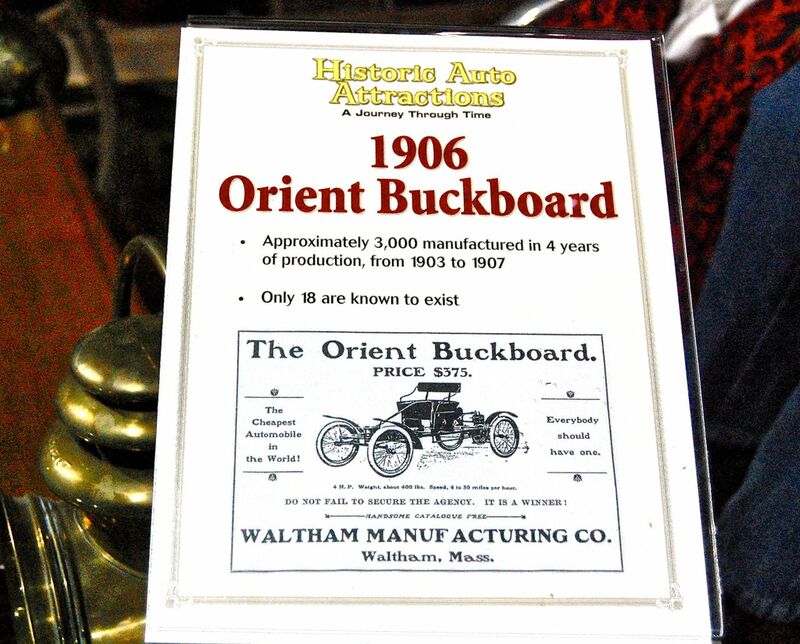 Waltham boasted that the Orient Buckboard was the “cheapest automobile in the world” and that “everybody should have one.” Indeed, at $375 it may have been the cheapest automobile at the time but whether everybody should have had one is open to debate. The car on display must have cost more than the model in the ad, given all the extras it has. This 1906 model in display at Historic Auto Attractions in Roscoe, Ill., appears to be heavily optioned. Also on display is an advertisement for what must be the $375 base model since it lacks the brass headlights, the folding top and the dashboard with which the museum’s car is blessed. 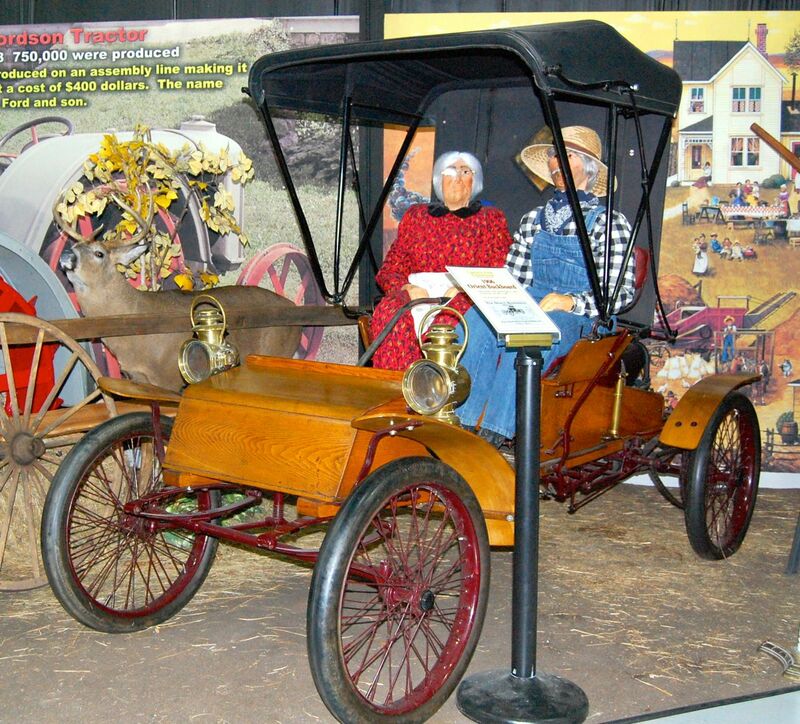 This entry was posted in Automotive History, History, It's Not 3D But..., Marty Densch, Museums, Orphan Cars and tagged 1906 Orient Buckboard, Charles H. Metz, Historic Auto Attractions, Waltham Manufacturing. Bookmark the permalink.